The Western United States Circle of Honor was established to recognize individuals who have contributed significantly to the Association and to the strength and growth of piping and drumming in the Western United States. 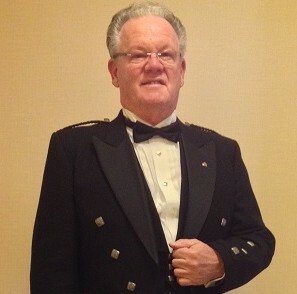 By bestowing Life Membership, the Western United States Pipe Band Association has formally recognized the following individuals as having shown outstanding dedication in promoting and encouraging education in the culture and advancement of piping, drumming, drum majoring, and pipe band music in the United States. Stuart has been involved in Scottish Arts since he was three years old. One of the first things he did as a toddler was hit the bass drum during practices in his parents’ living room. In middle school, he started doing performances with his father, who piped while Stuart Highland danced and announced. In high school, Stuart started teaching Scottish country dancing with his parents. When the Highland dance teacher left town, Stuart stepped in and taught until another certified teacher could be found. In 1978, the bass drummer for the Seven Pipers Society Pipe Band stepped down, and Stuart filled in and fell in love with the Scottish bass drum. Stuart has played the bass drum for Tucson bands almost continually since that time. In 2002, Kevin Blanford was elected president of the WUSPBA and he appointed Stuart to fill the position of vice president that Kevin had vacated. In the summer and fall of 2003 as Kevin became more ill, Stuart took over the duties of president but did not take the title until officially elected in January of 2004. 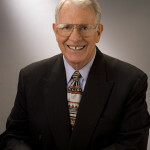 Stuart served as president from January of 2004 until January of 2006; however, he has been asked to run the Annual General Meetings of the association several times since then. Calvin Biggar learned piping as a boy scout in San Francisco and swept the local amateur contests. At 17 he joined the Caledonian Pipe Band of San Francisco. An uncle took him to Vancouver B.C. to hone his competitive skills in the local piping scene while attending the University of British Columbia. The war broke out and he decided to join the Canadian Seaforth Army. While stationed in Edinburgh, Calvin met and married Chrissy. He planned to finish his education in Vancouver and settle in San Francisco after the war. After completing his BA in Chemistry at UBC, he returned to S.F. where he rejoined the Caledonian Pipe Band, serving as P/M. In 1959, he and piping students Stan Patterson and Chuck Banker started the Lockheed Pipe Band. After a few years of successful competition, he, Stan and a few others, formed an alliance with key members of the Southern California piping scene. During the Caledonian Club Games of 1963, this combined group met in a small Santa Rosa motel room and hammered out the bylaws and contest rules for the Pacific Coast Pipe Band Association. The records should indicate the actual offices that the founders held, but Cal’s son John remembers his dad doing many years of work as General Secretary and mum laboriously typing on those paper stencils that were used on a hand-cranked mimeograph machine while their son inhaled the alcohol fumes just like he did in first grade! They moved to Southern California in 1968 and Cal joined the L.A. Scots under PM Jimmy Thompson. For the next ten years or so, annual general meetings were held up and down the state before settling in Morrow Bay. These AGMs saw the association create, rescind, and refine the rules that were debated passionately, to the point of fisticuffs, and then celebrated with hours of congenial adult beverages. After tweaking the rules for so many years at the Golden Tee in Morro Bay, the Association must have hit a flat spot, as dad commented once that we should just stop having AGMs as everything had been invented and it was running smoothly. Nobody had considered the "Instructor Rule". Calvin was a quiet, pensive man who always thought before he spoke, and never had negative things to say about people. He brought a wealth of experience to the new association before 1963 and the same amount after. The Association was a conduit for him to fulfill his passion for the instrument, the music and the culture. When Cal wanted to retire from his association duties after 20 years as the General Secretary, mum stepped in and was elected to replace him. Because of her knowledge of the rules and her predilection for enforcing them, she was the ideal Association Rep as she sat there in the Red Barn at Santa Rosa pouring over the score sheets and refusing to give anyone the results until they were announced, not even her son! Every PM knew Chrissy, and she was feared, loved and respected by them all. She slipped away 2 years ago, at the age of 89, but even in the onset of her dementia, she would ask John what was going on with the Association. Kevin Blandford became interested in playing the bagpipes in 1976-early 1977. That’s when his father, Paul, reports that Kevin was able to locate a practice chanter, which he played “all the time” around the house, and which he took with him wherever he went. Shortly thereafter a set of bagpipes came into the picture. Of course not knowing anything about the instrument, according to Paul, they were Pakistani pipes. As time went on, Kevin found an instructor who steered him to R.G. Hardie Co., and a set of Scottish pipes were ordered. Kevin joined a local band, The Gordon Greys, and got a lot of band experience. That group disbanded early 1980s. Both bands did quite well in competitions. At his passing late in 2003, Kevin was in charge of both bands, being Pipe Major of the 'A' band. His loss was sad, but the contributions that he made to piping live on. Charlie emigrated to the U.S. in 1952 and became involved with the Palos Verdes Pipe Band (which later became The Highland Society Pipe Band). In the U.S., he was taught to play the snare drum by Art McMechan. He played both pipes and snare drum in the 6th Army Pipe Band from 1955-1958, and in 1962 co-founded the original L.A. Scots Pipe Band along with Jim Thomson (Pipe Major), Ian McDonald (Pipe Sergeant) and Bill Capperauld (bass drummer). Under his direction, the L.A. Scots Pipe Band drum corps was undefeated for 10 years. In 1972, the L.A. Scots Pipe Band disbanded the year after Charlie, Jim Thomson and Bill Capperauld resigned from the band. But Charlie was not done. He taught his son (Art) and daughter (Mary Lyn) to play snare drum, while his son (Bob) was taught the pipes by Jim Thomson. And in the mid-1970s, he started a new band for his children that eventually evolved into the award-winning L.A. Scots Pipe Band that we know today. In addition, as the pipe band scene began to grow on the West Coast, Charlie co-founded the predecessor of the Western U.S. Pipe Band Association -- the Pacific Coast Pipe Band Association -- along with Sam Sweetman, Jim Thomson and Bill Capperauld. He served as chair of the Advisory Committee during the young association’s first three years. In the course of his musical career, Charlie played drums for the soundtrack of the MGM movie Brigadoon, and recorded music for National Dances of Scotland, which is still used for practice by Highland dancers today. Charlie played and was a drumming and ensemble judge for 40 years, and only resigned from judging and playing in the late 1990s. 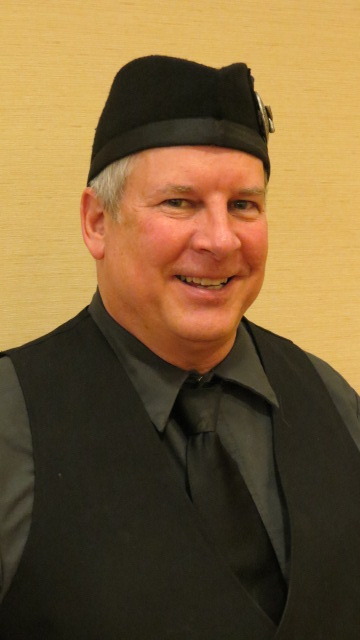 Tom is a senior member of the Western United States Pipe Band Association (WUSPBA) adjudicator panel. He has served in this capacity for many years at band and solo competitions around the United States. He is a former member of the WUSPBA Music Board and served as a mentor to developing drumming adjudicators. A native of Glasgow, Scotland, now living in Costa Mesa, California, Tom took up pipe band drumming at the age of eight and advanced through various juvenile bands to reach competitive level with the award-winning Rolls Royce pipe band in Scotland before moving on to kit drumming. After moving to the United States in 1976, he became lead drummer of the original LAPD pipe band and later of the Los Angeles Scots pipe band. In addition to his adjudication duties, Tom continues to teach and conduct drumming workshops for developing pipe bands. Helen and Tim Gladden began piping and drumming as kids. Helen grew up on the west coast playing solos and in bands as a member of the WUSPBA. Tim grew up on the east coast and was a member of the EUSPBA. They met and married in 1983 and settled on the west coast after spending several years in Europe. They both taught music locally and from their students assembled a group of players that would comprise what would become the corps of several different bands over the years, culminating in a second-place finish in Grade II at the World Pipe Band Championships in Scotland in 1999. They each participated in the WUSBA holding several roles in it over the years, most significantly as adjudicators and serving on the Advisory Committee. On that committee, they helped move the WUSPBA from an organization that was concerned solely with bands to one which encompassed solos as well, and they helped to write the first set of rules adopted by the association for use in governing the various aspects of solo competition. They both felt and continue to feel that a well organized and even-handed promotion of solo competition in the west is vital for the continued success of the WUSPBA and pipe bands in general. In 1998, Tim was elected president and Helen took over the publishing of the WUSPBA Newsletter. They retired from active participation in 2002, but can be seen, occasionally, among the crowd of spectators at various competitions in California. Kathleen was the original Pipe Major and founder of the Nicholson Pipes and Drums that is based in Westminster, California. 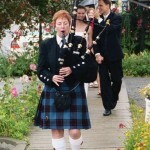 For the past 30 years she dedicated her life to teaching the bagpipes and forming this award-winning band to honor her father and family name. Kathleen was born in Vancouver, British Columbia, Canada on June 8, 1927 and was the first of three daughters born to Pipe Major Malcolm and Elsie Nicholson. She began highland dancing lessons at age two and a half. By the time she was four she was learning the bagpipes from her father, Malcolm Nicholson, who was a police sergeant and the Pipe Major of the Vancouver Police Pipe Band. By age five she was acclaimed to be the youngest piper in Canada to win the silver cup from the Gaelic Society for her skill on the bagpipes. At that time she had already won 11 medals for highland dancing. Through her teen years she won many aggregate awards at numerous piping competitions. One of the contests she competed in and won was highlighted by the two well known judges from Scotland, William Ross and John Burgess. Kathleen had not limited herself to piping and dancing. At age 12 she won a five year Art Scholarship given by the Vancouver school board. At age 17 she received a silver medal from the Toronto Conservatory Music in Ontario, Canada, for the highest marks for her singing exam. She won numerous prizes at Gaelic festivals for both Gaelic singing and recitation. Kathleen then joined the Vancouver Ladies Pipe Band in 1938 and then joined the Glengary Girls Pipe Band in 1942. During World War ll Kathleen and her sisters toured and performed at Canadian Military camps and in USO shows. She also toured with the AB Marcus Production Company throughout the United States of America and appeared on Broadway and New York television shows. In one of her routines she actually played the pipes while highland dancing. She was also a dance instructor the Arthur Murray Studios in New York. She married and moved from New York to Seattle Washington where she established a large highland dancing school and was part of the Seattle Highland Games Committee. While in Seattle she and her husband adopted their only child, Malcolm, and when he was two years old they divorced. She and Malcolm moved back to Vancouver, Canada and she began working at the Vancouver Police Department. While there she opened and ran a successful music and dance school that focused on the highland arts, modern dance, and ballet. 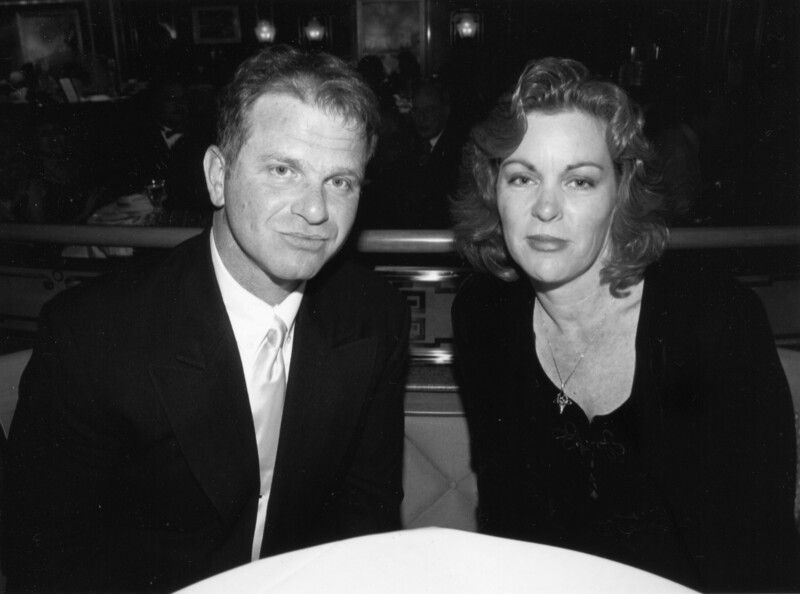 In 1966 Kathleen and relocated to Santa Monica, California. Malcolm acted as her sponsor and she became a naturalized US citizen and she remarried shortly after that. Kathleen's varied work experience began as an executive secretary, but she had an eye for decorating and earned an accredited Illuminating Engineering certificate from the University of British Columbia which lead her into a consulting job for an LA lighting company. She had designed numerous residential and commercial properties in LA, trail blazing the industry with the use of theatrical lighting in the commercial and residential markets. One notable design she was proud of was the Disneyland Hotel where she designed the lighting for the hotel lobby in the late 1960's. Finally, her versatility in the job market is capped off by her working for the Los Angeles and Beverly Hill Police Departments as a clerk and a woman's jailer. While moving from job to job and raising a son in Southern California she started teaching the bagpipes in Santa Monica, CA. One day she was approached by a couple of her adult students to start a band, which she initially declined as there was no capital available and she did not want the commitment of managing a band. She was ultimately convinced and formed the Nicholson Pipes and Drums in 1981 when the two students that had earlier approached her put up the seed money to start the band and her son Malcolm agreed to help with the drum section. Kathleen taught many individuals and some were notable actors like Rick Jason from the 60's Classic TV Show COMBAT and David Huffman who appeared in the Clint Eastwood movie Fire Fox. She moved to Garden Grove where she was a member of the Crystal Cathedral Choir and continued to teach bagpipes. 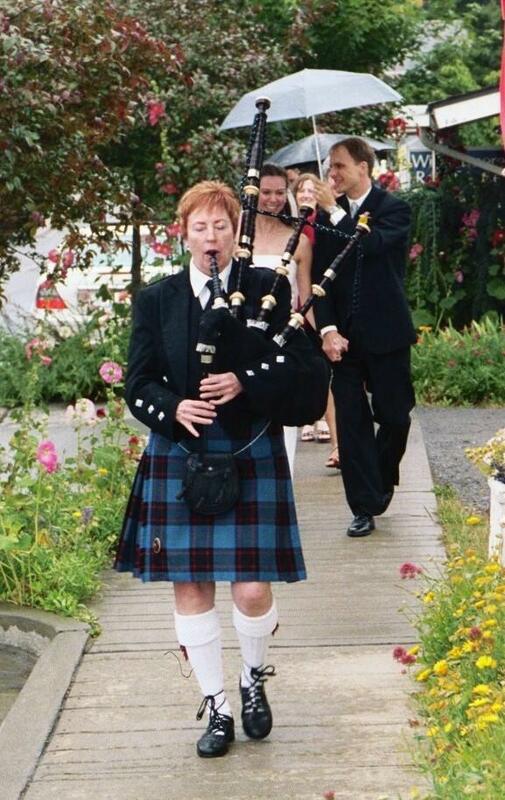 One of her bagpipe career highlights was when one of her adult students gave her a piping gig referral of a lifetime. Kathleen was asked to audition and got the final call to play Amazing Grace for Spock's funeral scene in the Star Trek movie classic, The Wrath of Kahn. She did the recording at Paramount Studios with a full live orchestra on the sound studio, which was a thrill of a lifetime. 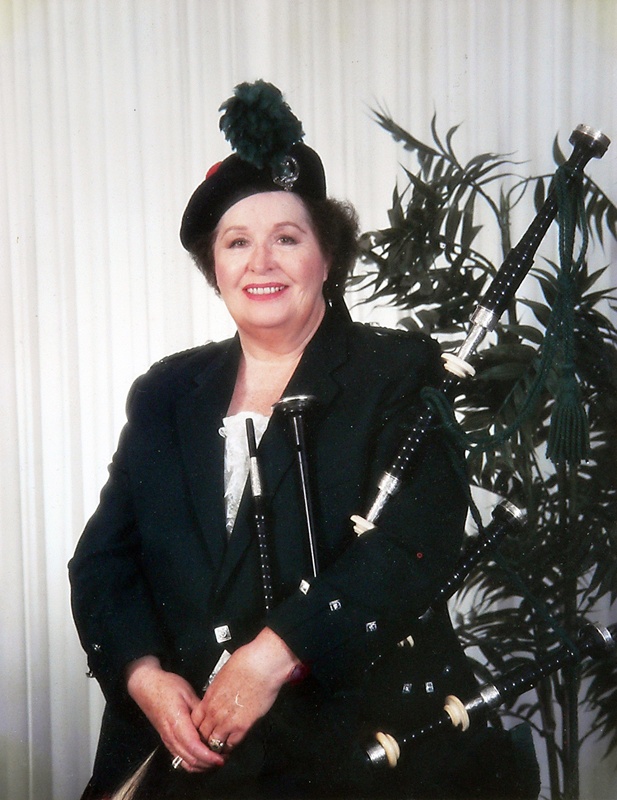 Kathleen moved back to Vancouver in the mid-1980s to care for her father until he passed away in the mid-90s, and then she returned once again to Orange County to teach another generation of young and adult pipers. The Nicholson Pipe Band's longevity surprised her and she was very proud of all the accomplishments the band had made such as playing for the introduction of the Tiger Shark aircraft at Northrop; the 1984 LA Olympics; the Inaugural festivities in Orange County for President Reagan; the EXPO 86 in Vancouver, BC, Canada as well as supporting Southern California's law enforcement and the Marines at Camp Pendleton, California. Finally, the band was given the honor of being named the official band of the Clan McNicol / Nicholson. In 1996 she organized a band trip to go to the Isle of Skye to perform and participate at the dedication of the the clan Kirk'n (church). The band has produced two acclaimed CD's and will always be a positive living memorial for Kathleen as her former student, Pipe Major Robert Hackney and her son, Drum Sergeant Malcolm Willis will carry on this band's positive winning legacy. Senior Drum Major with WUSPBA since 1978. Jim has been an active participant in competition, the education and instruction of drum majors from all levels of experience, and adjudication for more than 45 years. He has a long history of drum major experience with the Stuart Highlanders Pipe Band, Dunvegan Pipe Band and Prince Charles Pipe Band. He has also been the drum major for the Culver Military Academy, the Capuchino High School Marching Band and the University of the Pacific Marching Band. 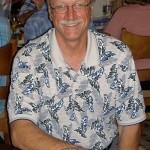 Jim is a financial advisor with Edward Jones, and lives and works in Ashland, Oregon. Elaine Hoffman has been a solo member of the WUSPBA since 1995. During the years since, she has served the Intermountain Branch as president, vice president, steward, secretary and treasurer. Elaine became Solo Registrar of the WUSPBA when that position was created in 2002, and served in that position at several different times. She edited Words & Music for several years, was assistant to the WUSPBA treasurer from 1995-1996, and created the Judges’ Information sheets in early 2000. The sheets were used by the Intermountain Branch and adopted for use by the WUSPBA in 2013. Elaine has been a piper with the Colorado Isle of Mull/St. Andrew Pipes & Drums, the Fort Collins Pipe Band, the City of Denver Pipe Band, and the Michael Collins Pipe Band. She has coordinated band and solo competitions at Jackson, Wyoming, and for the Intermountain Branch at Hudson Gardens. She has announced competitions at the Longs Peak Scottish-Irish Festival in Colorado since 2012. Chris started his piping career when he was 12 years old with the Ingersoll Pipe Band, at that time a Grade 2 band in Ingersoll, Ontario, Canada. He moved to Phoenix, Arizona, in 1963 when he was 15, and played for several years with a local band. He says he didn't play much during his college, law school days, and early legal career, but started playing again in the late 1970s. 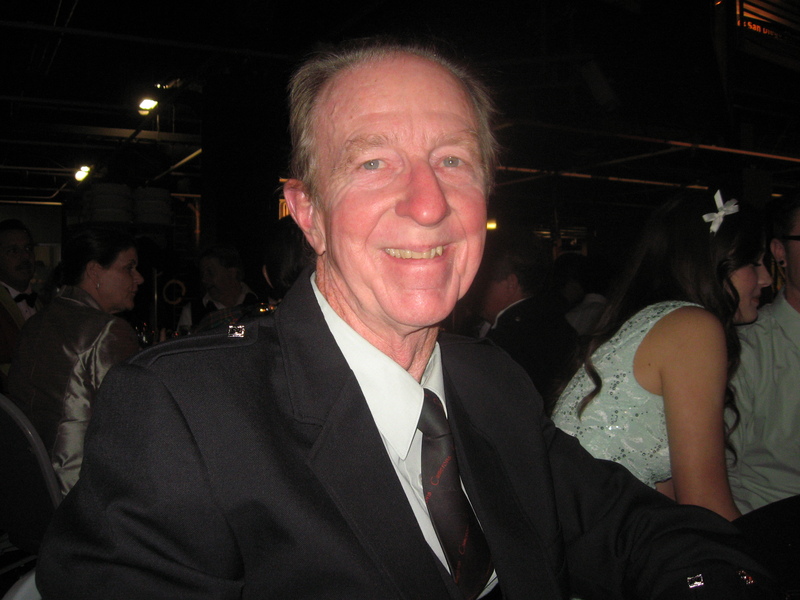 In 1980 he formed the Mesa Caledonian Pipe Band and has been the band's Pipe Major since then. Mesa Caledonian Pipe Band has been successful throughout the years and grown from its original four members to a membership of some 50 pipers, drummers, drum majors and students. Most of these musicians have been taught through the band and Chris has taught most of its current pipers. The band has fielded competition units in both Grade 3 and Grade 4 throughout its history, and currently competes in Grade 3. Under Chris’ leadership, MCPB has competed four times at the World Pipe Band Championships in Glasgow and has placed in the top 10 in its grade three times. While in Scotland, MCPB played in concert at Stirling Castle, and for the Lord Provost of Glasgow. Chris has served as WUSPBA President on two different occasions and also on what has become the WUSPBA Music Board and on the WUSPBA Adjudication Panel. He represented WUSPBA at ANAPBA in its early years, when grading and competitions rules were somewhat standardized across North America. Chris graduated from Arizona State University, both undergraduate and law school. He is a trial attorney, practicing in the area of construction law, and specializing in representing design professionals. 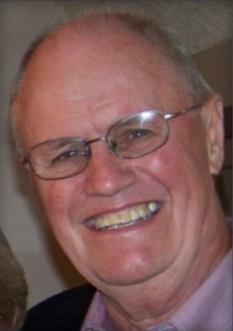 He has been married for 45 years with two children and four grandchildren. He has lived in Mesa, Arizona for the last 43 years. Jim Laughton observes that he is the lone surviving Founding Member of the Sierra Highlanders Pipe Band, which was organized in 1961. He was pipe major of the band for several years. 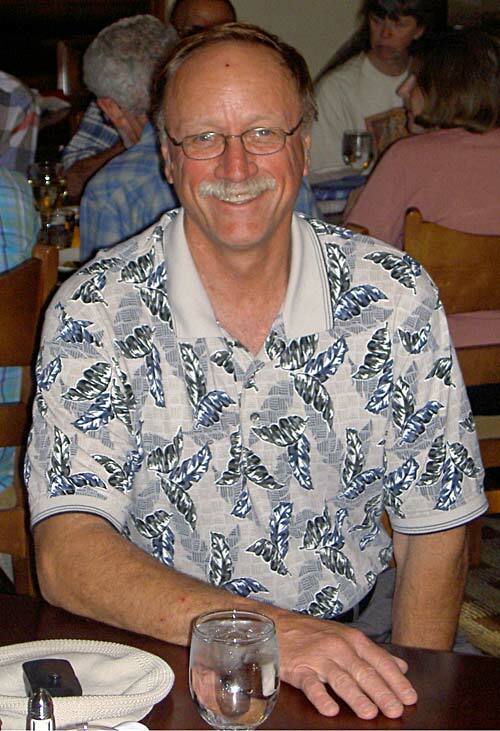 Jim was active in the WUSPBA as treasurer (1994-1998). During this time, he was part of the team that initiated a solo registration and tracking system, bringing increased attention to solo as well as band. He organized the WUSPBA Championships held in Reno, in the mid-1990s, and was a founding member of the alliance of North American Pipe Band Associations, along with Jeff Mann and Susan Thornton. As a Founding Member of Celtic Celebration, Inc., in Reno in 1991, Jim initiated current solo contests held in conjunction with the area’s Celtic Celebration. Charles Lumsden was born in Broxburn, Scotland, and immigrated to California with his mother, Margaret, and his father, Bill. As a young boy, Charles was taught to play the pipes by his farther, who himself was an important influence in the pipe band community of Southern California. Although the bagpipes were his favorite instrument, he also picked up drumming and Highland dancing, and competed successfully in all three areas in his younger days. One of the highlights of his young piping career was returning to Scotland and winning a silver medal at Cowal in the Boys’ Division and playing with the Pumpherston Pipe Band. During the mid-70s and -80s, Charles had a thriving solo piping career and was the Pipe Major of the Caledonian Pipe Band of Southern California. He became the Pipe Major when he was in his late teens and was able to attract some of the most talented players in the area, which made the Caledonian a successful competitive Grade 2 band. After a break from pipe bands to pursue other musical endeavors, which included playing guitar and singing with the folk group “The Irish Beggarmen,” Charles returned to the pipe band scene and joined the Beach Cities Pipe Band, which later became the Los Angeles Scots. 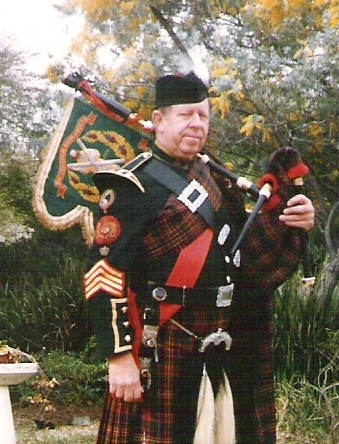 Charles was the Pipe Sergeant of the Los Angeles Scots from 1991 to 1995 when they tied for first at the World Pipe Band Championships Grade 2. 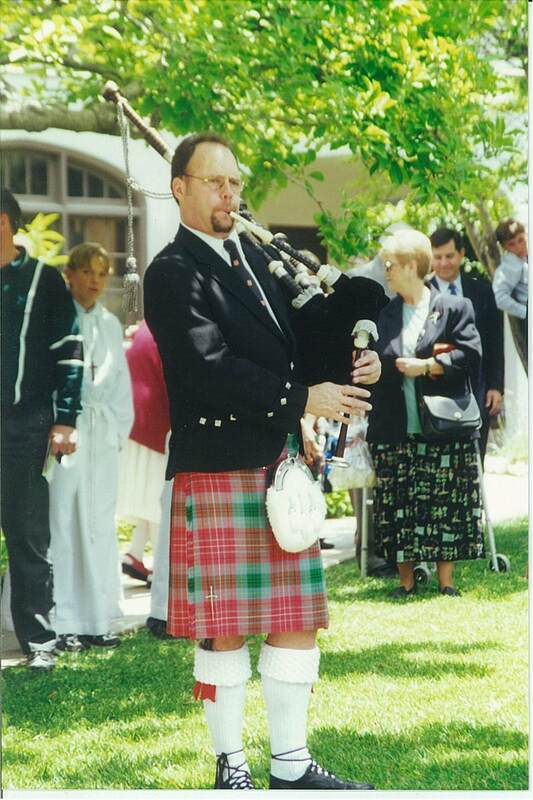 Charles transitioned from the Los Angeles Scots to play with the Los Angeles Police Pipe Band. In 1999 Charles and his son Kyle joined the Alameda County Sheriffs Pipe Band, which placed second overall in Grade 2 at the Worlds with a first place in piping. Other bands that Charles played in alongside his son Kyle were the Caber Feidh, Los Angeles Police, Misty Island, NAPB and finally returning to the Los Angeles Scots. It was a great pleasure for Charles to play in the Grade 1 circle at Glasgow Green with his son. Charles was an adjudicator for WUSPA for many years, and it is noteworthy that he was an ensemble judge due to his talents and knowledge in both piping and drumming. In his years of judging, he was fortunate to travel to different games across the country and took pride in being both a fair and honest judge. For Charles it really was always about the music that came so naturally to him -- the music that led him to lifelong friendships through the years not only in the pipe band world but, in all of his musical careers. Charles always joked with his wife Janet, daughter Brianna and son Kyle that out of all of his musical endeavors he was pleased to be recognized as a legend in his own mind, but really he is a legend to them. Pipe Major Ian MacDonald learned to play pipes at the age of 10 in Winnipeg, Canada from Alec Reid. As a teenager, he played pipes with the Cameron Highlander Cadets in Winnipeg. Ian emigrated to the U.S. in 1949 and became involved with the local Scottish community and the Highland Society Pipe Band. In 1962, he co-founded the original L.A. Scots Pipe Band along with Jim Thomson and Willie and Charlie Capperauld. After the break-up of the L.A. Scots in 1972, Ian started the Lord of the Isles Junior Pipe Band. Many of those members or their children are still playing today. After a few years, the Lord of the Isles Pipe Band and the Highland Society Pipe Band merged, to form the original L.A. Police Pipe Band. 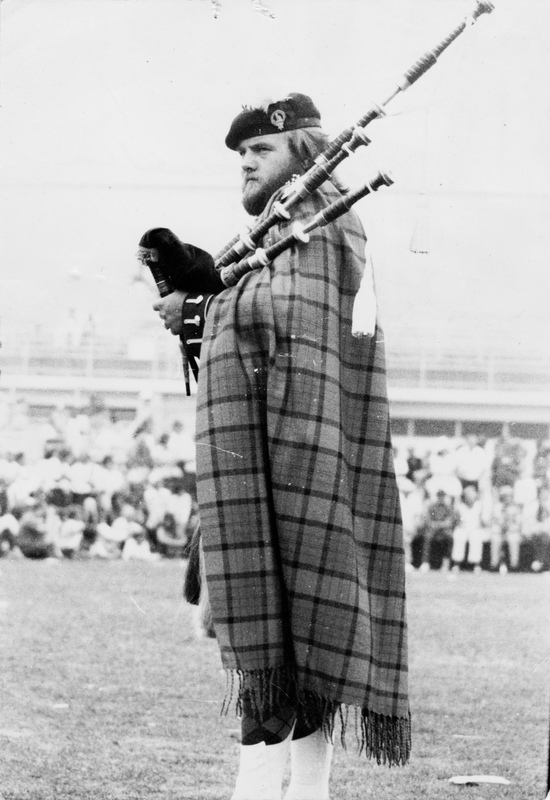 Ian was an original member of the Pacific Coast Pipe Band Association, the predecessor to the WUSPBA, and held many offices. An accomplished piper, Ian played the pipes in many films and recordings, including The Quiet Man, Hello Dolly and Bed Knobs and Broomsticks. 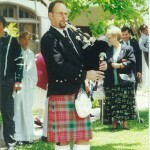 Ian was also an accomplished teacher, and taught his son (P/M Scott MacDonald) along with many young pipers in the Los Angeles area for more than 30 years. 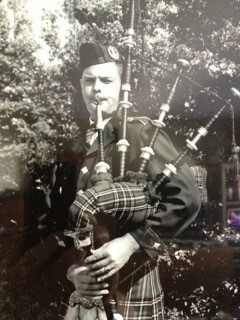 Ian’s sons, Donald and Bruce MacDonald, played snare drum for both the original L.A. Scots Junior and Senior Pipe Band. His only daughter, Linda MacDonald Armstrong, became a Highland dancer and is now a World Class Highland Dancing Instructor. 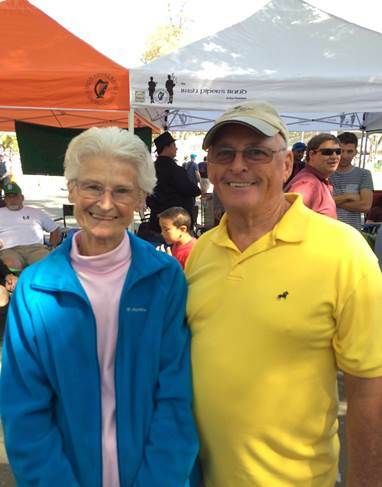 She is also the mother of current P/M Colin Armstrong of the L.A. Scots Pipe Band. Ian’s primary focus was on teaching piping to kids and getting them excited about the instrument. He was very successful at doing this. His legacy and love of this instrument are now being carried on through his son, Scott MacDonald, and his grandson, Colin Armstrong. Judged several competitions in North America. Lead the Grade 2 L.A. Scots to the World Championship in 1997 in Glasgow. This was a first for an American Band.The Band is now considered one of the Premier top 15 bands in the World. The L.A. Scots have represented WUSPBA in Scotland for the past 20 years at the World Pipe Band Championships. Scott has been a successful Instructor of pipers and bands for more than 35 years. He has run the Queen Mary games for more than 20 years. Janet MacLean, born in Canada, began snare drumming as a young woman with the Toronto Girls Pipe Band. In the 1960s, she emmigrated to California and joined the Highland Society Pipe Band, which later became the Los Angeles Police Pipe Band. The last band in which she played was Misty Isle Pipe Band. Janet was a very dedicated member of any band she ever played in, and always carried extra uniform parts in case someone had forgotten theirs. She served the WUSPBA by sending out forms to participants in WUSPBA-sanctioned competitions. Jeff Mann - ANAPBA founder, WUSPBA administrator for over 17 years. Drew McPheeters, elected Vice President of WUSPBA for 2015, has been Drum Sergeant for four Colorado bands: Pikes Peak Highlanders, the Colorado Isle of Mull/St. Andrew Pipes & Drums, Colorado Skye Pipe Band, and now Denver & District Pipe Band. As he says: I started drumming in Indiana when I was 12, although in the U.S. rudimental style. I was mostly self-taught, as most small schools in Indiana had no real instruction in percussion. Despite that, I had good success in band and solo competitions. One year our ensemble received perfect marks and the judges sheets were highly complementary, including the statement, “keep listening to your obviously good instructor,” which left us quite amused knowing we had no instructor. This experience made me want to provide instruction to other people who had no instruction. After high school I played in the Florida Vanguards Drum and Bugle Corps and later the USAF Drum and Bugle Corps, where I learned the finer points of drumming as part of a large corps of people. While stationed in Georgia by the Air Force, I instructed the Valdosta High School and Lowndes County High School marching bands, which were very high-profile marching band programs; in Georgia, people take the marching bands as serious as the football teams. Eventually I was transferred to Las Vegas, where there were no opportunities to play or instruct, so for 13 years I had no drumming. Eventually I moved to Colorado Springs, Colorado, and on my first weekend in the state I was staying at a hotel and I had my windows open. I heard the strangest noise coming from the hotel next door, and as fate would have it, the bands in the area were attending a clinic. I wandered across to check out the activity and struck up a conversation with Bob Wilson, the drum sergeant of the Pikes Peak Highlanders, a local band. After a year I became the lead drummer, and lead the band for several years. Having no experience in the Scottish style of drumming, I sought out instruction from Joe Foley of the LA Scots, who lived in Denver at the time. Aspiring to play at a higher level, I joined the Colorado Isle of Mull/Saint Andrew Pipes and Drums in 1999. Unfortunately the band had a small pipe corps and a lot of drummers so I was never able to work into a Grade III unit. In 2002 I stepped down as the WUSPBA secretary and took over as the President of the Intermountain Branch. I also joined a new band in Colorado Springs, the Colorado Skye Pipes and Drums, as their drum sergeant during their second year of competition. Colorado Skye members were very serious about competition and attracted a lot of very talented players. In our second year, we placed second in Maxville and first in Montreal, and won the Grade IV WUSPBA championships. The next year we were upgraded to Grade III and continued to do well for the next two years. In 2004, I turned over the Intermountain Branch presidency to Skip Ruleman, although I remained the banch vice president. I stepped away from bands for two years to focus on my health but returned to take over as drum sergeant of the newly formed Denver & District Pipe Band, which was a merger of the City of Denver Pipe Band and the Colorado Isle of Mull/Saint Andrew Pipes and Drums. 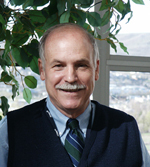 In 2011 Skip Ruleman passed away, and since that time I have been Intermountain Branch president. Now Denver & District has been promoted to Grade III, and this is the second band promoted to that grade while I have been drum sergeant. Throughout this whole time I continued to support the WUSPBA in matters relating to their IT needs. Lise Nelson, Pipe Major of Colorado’s Denver & District Pipe Band, began piping in 1993, playing first with the Colorado Isle of Mull/St. Andrew Pipes and Drums, then the City of Denver Pipe Band. She was instrumental in the merger of the two bands into Denver & District. Soon after beginning her piping career, Lise became involved in supporting the work of the Western United States Pipe Band Association. 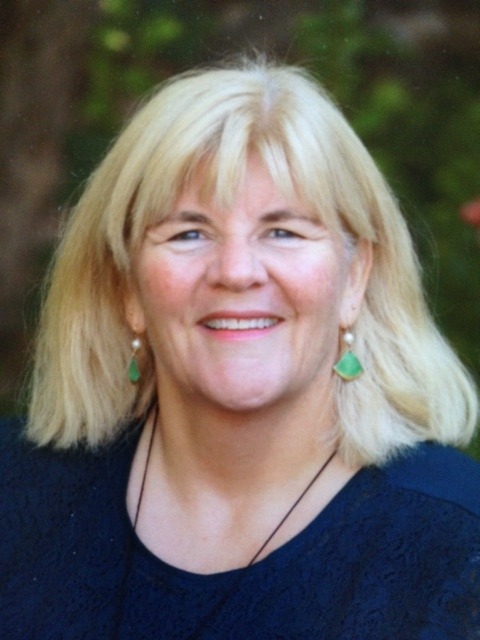 She has served the WUSPBA as President of the Intermountain Branch, Sanctioning Secretary, Executive Secretary, liaison between the Executive Committee and the Music Board, and most recently as a member of the Music Board. Most recently (in 2014), she became chair of the Music Board’s Adjudication Committee. Ozzie Reid enlisted in the American Army to serve in the Army pipe band; with this service came citizenship. As he points out, the alternative was to be drafted. He played with the L.A. Scots from 1960 to 1968, then took over as Pipe Major of the Lockheed Pipe Band in 1968, a position he held until retirement in 2012 The band was later renamed Dunvegan when the U.S. Government disbanded all the employee clubs in tax issues with Lockheed. Ozzie founded the Peninsula HG under the auspices of Clan Stewart where we (games) originated the use of the clock in the pipeband contests. It worked and found its way into the rule book of the WUSPBA. He helped organize Long's Peak Festival, which imported two Grade 1 bands (one from Canada and one from Great Britain), which played as structured, time limit medley. 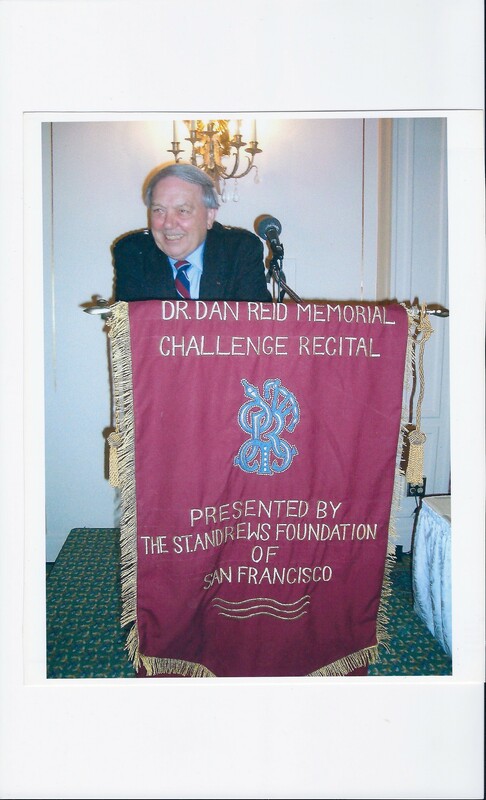 He was co-chair with Pipe Major William Merriman of the Caledonia Club of San Francisco Games at Santa Rosa. 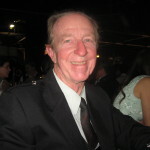 Ozzie was chair of the Pacific Coast Pipe Band Association from 1977 to 1981, then became general secretary of the WUSPBA for 10 years, from 1988 to 1992. He did a great deal to promote piping in the Intermountain Branch especially, traveling to Colorado for a number of years to conduct piping workshops. 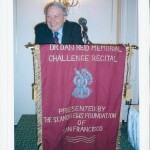 Ozzie says his proudest accomplishment is The Dr. Dan Reid Memorial. This was an invitational featuring the top soloists in the work playing from tune lists submitted to the soloists for their selections. They then played tunes selected by the Committee. We recorded the recitals and issued a CD each year. The contest survived from 1992 to 2012. Janice Richey, piper, Pipe Major and solo piping judge, began piping in 1969 under the tutelage of Bill Merriman, and was a member of the Prince Charles Pipe Band from then until 1980 and again 1994-1996. While with the band in the late 1970s, she traveled to Scotland twice and taught many incoming young people. Jan began teaching adults around 1980; her students slowly evolved as The MacIntosh Flashers, a local parade band. By 1991, the group had become the MacIntosh Pipe Band with Jan as Pipe Major, winning the WUSPBA grade IV Championship in 2000. For many years, Jan and the band ran piping and drumming competitions at the Campbell Games, near San Jose, California. The band continues with grades IV and V and competes in several games each year; in addition, since 2004, it has sponsored the Mt. Tamalpais Competition in the Greater San Francisco area. The band also ran piping and drumming competitions at the Campbell Games for a number of years and has hosted a series of workshops for local players featuring out-of-area instructors. Jan began judging solo piping competitions at Monterey around 1987 and says she loves judging and especially the dialogue with beginning pipers after they’ve competed. Jan has served as Vice President and President of the Northern Branch, and, therefore, as a member of the Executive Committee of the WUSPBA on and off since the early 1990s and in 2014 became a member of the Music Board. She has attended the WUSPBA’s Annual General Meetings regularly, first as a teenager when the association was named the Pacific Coast Pipe Band Association and met in Morro Bay. Charlie Rosenberger grew up hearing his father and grandfather playing the pipes. His father, John Rosenberger, began teaching Charlie to play the pipes at the age of seven. He won his first medal in novice piping at the age of nine and was moved to the amateur level when he was ten. He became the Pipe Major of the Cameron Cadets, a juvenile band shortly thereafter. Charlie had a very successful competitive career, garnering dozens of medals and trophies throughout California and Arizona, including the coveted James McColl trophy for Ceol Mor at the USS games in Santa Monica. During that time period he also received instruction from the late Capt. John A. MacClellan MBE. Charlie began giving private lessons when he was 15 and at 16 became the Sergeant piper for the Cameron Highlanders Pipe Band, the band that his father founded in 1946. At 17, Charlie was hired to be the instructor for the Helix High School pipe band where he taught for seven years. During his years as a piping teacher, he has had over 200 students, dozens of them prize winners and several have gone on to form their own pipe bands and teach more people to play the pipes. He became the Jr. Pipe Major of the Cameron's when he was 19 and also at 19 he moved to Open/Professional class and continued individual competition until his duties as Pipe Major of the competition band began to demand more time. The Cameron's, then an “A” band, did well under Charlie's leadership being among the prize winners at most of their competitions and winning best pipe corps at the Caledonian Club Games at Santa Rosa at one point. Charlie was placed on the Judges panel of the PCPBA, later to be WUSPBA, in 1974 and has been on the A or the B list since that time. In 1976, Charlie took a leave of absence from the Cameron's and competition to pursue his career as a professional traveling musician however he played the 1979 and 80 season with the Culloden Moor Pipe Band. Charlie returned to the Cameron's in 1982 and has been the Pipe Major since that time. The band has only missed one competition season during that time period and is perennially on the winners list. Charlie served on the WUSPBA music board for three years and is currently on the newly formed MDAP committee. John Rosenberger was born in Colorado Springs, Colorado, in 1922 and his family moved to Taos, New Mexico, when John was in the 6th grade. In his early years, John learned to play the bugle, fife and snare drum, and in turn taught others to play and formed the Taos Drum and Bugle Corps. John and his father, Karl, had always had an interest in the bagpipes and they bought some practice chanters by mail order in 1936, but it wasn't until the family moved to San Diego in 1939 that they found an instructor. John Doig was a piper with the San Diego Canadian Legion Pipe Band, which was the local pipe band at the time, and agreed to give lessons to John. On November 11, 1941, John played his first parade with the band and his father played the drums. Karl later became a piper as well. During that time period, John also played in the high school band and took drumming lessons from Myron Collins, the principal drummer in the San Diego Symphony. John played pipes with the Canadian Legion band until he was drafted in 1943. He was sent to Camp Haan in Riverside and played with the Riverside Canadian Legion Pipe Band before being transferred to another camp in Pennsylvania in 1944, where he was made Company bugler and bagpiper. He was sent to England in May 1944 and to France in June 1944. He had his pipes with him and on July 4, 1944, played them in a field in Normandy. John met his future wife, Yvonne in Nantes, France, and returned with his war bride after the war. When John returned to San Diego after the war, the San Diego Canadian Legion Pipe Band had disolved, so in 1946, John and Karl formed the San Diego County Pipe Band, later to be called the Cameron Highlanders. John began teaching other pipers and drummers, and the band began to grow. In 1952, Helix High School was scheduled to open in La Mesa, where John lived, and two of the young pipers that John had been teaching were going to be students at the school. Together they lobbied to make the theme of the school the Highlanders and part of that would include the Helix Highlanders Pipe Band, which is still a part of the Helix tradition today. 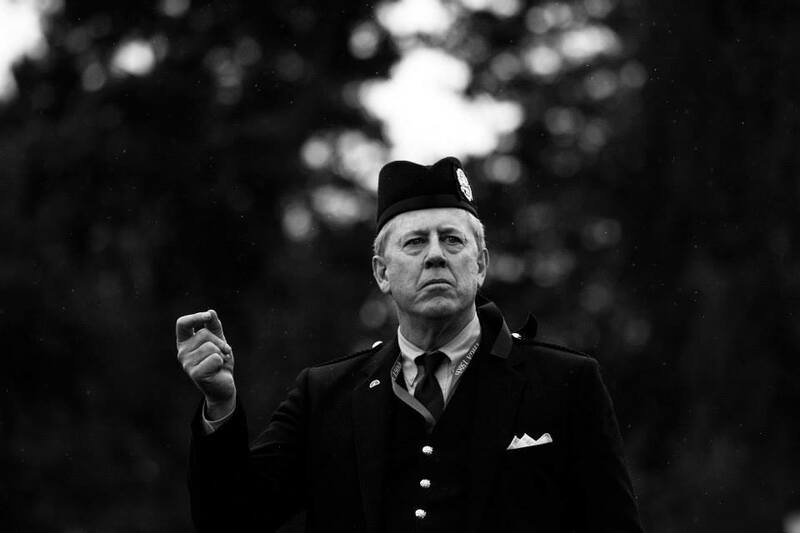 The Cameron Highlanders began competing at Highland Games in 1952 under John's leadership. John also competed in individual competition and gathered a number of trophies and medals, but his main focus was always on the band. He taught his son, Charles, to play the pipes and his other son, Malcolm, to play the drums. What better way to build a band than to breed members! John also started a Scottish import shop, “American Piper's Supply,” out of his home and began importing and selling bagpipes, bagpipe supplies and uniform supplies. He outfitted many pipe bands and sold hundreds of sets of pipes for the next several decades. The Cameron's were regular competitors at all of the Highland Games, and John was one of the small group of pipe majors and bandsmen to gather at the Rustic Motel in Santa Rosa in 1963 to form the Pacific Coast Pipe Band Association, which is now the WUSPBA. The Cameron Highlanders are the only band still competing from that original group. This is a tribute to John's tenacity and dedication to the band and piping and drumming in general. In 1976, John convinced the local Adult Education program to offer bagpipe instruction as one of their classes and John along with his sons Charles and Malcolm, introduced hundreds of others to the bagpipes and drums. The classes were opened to all ages from youngsters to octegenarians, and continued for more than 15 years. Many of those Adult Education students went on to become accomplished pipers and are still playing today. Although John's Scottish heritage was very thin, since the Rosenberger side of the family came to this country in 1769, he did everything he could to promote Scottish culture and especially bagpipes and bagpipe bands. He was the Chieftan of Clan Cameron of the Order of Scottish Clans, the official piper of the British Officers’ Mess in San Diego, and President of the House of Scotland in 1953. In addition, he organized and acted as Chieftain at some of the early Highland Games in San Diego, and was named Scotsman of the Year at the San Diego Highland Games. He sat in the private box of the Lord Provost of Edinburgh at the Edinburgh Tattoo as a special guest. If there was a Highland Games or any other Scottish event within 500 miles, John was probably there. His contribution to the piping and drumming community in San Diego is unparalleled, and he is largely responsible for keeping it alive in San Diego since 1946. In his later years, although John did not compete with the band any more, he still went on teaching and supporting Scottish culture. John and his wife, Yvonne, could be seen together at every Scottish event, including the Highland Games, until their passing in 1995. John was a part of the fabric of the Scottish community and the name Rosenberger became forever associated with Scotland and bagpipes. John passed away on July 15, 2005. Lee Ruleman, known to everyone in the pipe band world as “Skip,” was president of WUSPBA’s Intermountain Branch for many years. He was also a dedicated side drummer with the City of Denver Pipe Band and then with Denver & District Pipe Band. Skip proudly served his country as a Marine in Vietnam. Unfortunately, during that war he experienced damage to his lungs that troubled him for many years. Nevertheless, he bravely continued drumming as long as he was able. 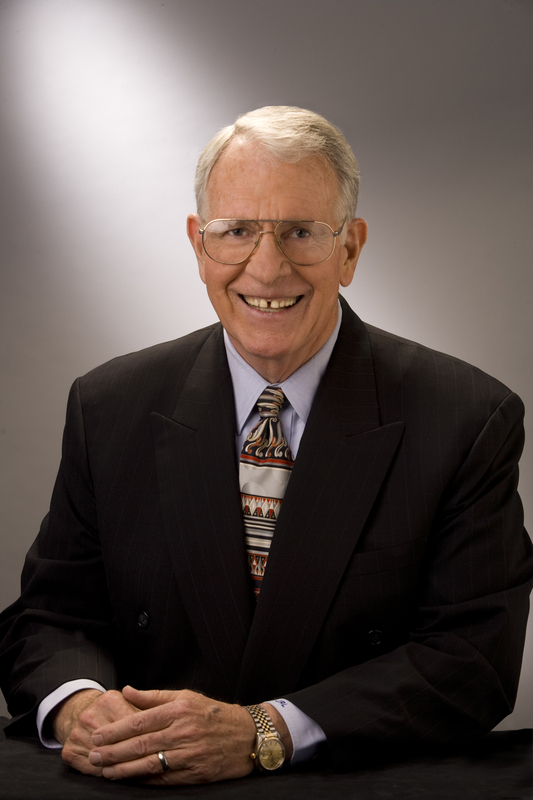 Friends in the Intermountain branch were saddened when Skip passed away in 2011. Skip’s wife, Tricia, was unable to be here today, but this plaque will be sent to her in his memory. Drum Major John Thornton has worked to strengthen the Celtic arts and the Western U.S. Pipe Band Association for more than 35 years. He notes that when he became a drum major, the WUSPBA did not even recognize drum majors -- drum majors had their own association, the Pacific Coast Alliance of Drum Majors. The director of the volunteer run Colorado Scottish Festival for 25 years, he has been the only Drum Major judge on the WUSPBA list in Colorado, organized the week-long Rocky Mountain School of Piping and Drumming for five years (1987 to 1991) and served as Intermountain Branch secretary from 1991 to 1992. John edited the Western U.S. Pipe Band Association’s newsletter, Words & Music, from 1995-1996 and is currently editor of the publication again (since 2012). John was a Drum Major for the Colorado Isle of Mull/St. Andrew Pipes and Drums, and since 2009 for Denver & District Pipe Band-- service spanning more than 30 years. A serious student of history, John educates audiences about Celtic music, history and heritage during band performances. Susan Thornton began piping in 1983, when she was inspired by a visit from Sir James Morrison-Low, who was trained at the Castle in Edinburgh and had come for a visit with his bagpipes. At the time there were very few pipers – especially female pipers – in Colorado. By 1984, Susan was piping with the St. Andrew Pipes & Drums, then with the Colorado Isle of Mull Pipes & Drums. Today she teaches piping and competes with Denver & District Pipe Band. Susan was on the city council and Mayor of the City of Littleton from 1986-2003. During that very busy time, she also chaired the Intermountain Branch for four years (1990-1994), followed by four years as chair of the Western U.S. Pipe Band Association (1994-1997), overseeing the registration and tracking of solo pipers and drummers for the first time. She was co-founder with Jeff Mann and Jim Laughton of the Alliance of North American Pipe Band Associations in 1999, and was vice chair of that organization for two years. Liz (Payne) Tubbs learned to play the Great Highland Bagpipe as a youngster in Dunedin on Florida's West Coast. As she became a proficient piper, playing with the City of Dunedin Pipe Band from 1972 through 1978, Liz got the attention of noted piper Sandy McPhee, who tutored her in the professional ranks of pipers. Continuing her music education, Liz became a premier flutist, and in 1976 was a Young Artist winner with the Florida Gulf Symphony. She earned her degree in music and elementary education from the University of Iowa in 1978. Liz moved to California in 1981 and began playing with the Prince Charles Pipe Band, commuting from Sacramento to San Francisco several times a week. With fellow bandsman Clutch Sutton, she formed the City of Sacramento Pipe Band in 1989 and has served as its pipe major and musical director ever since. 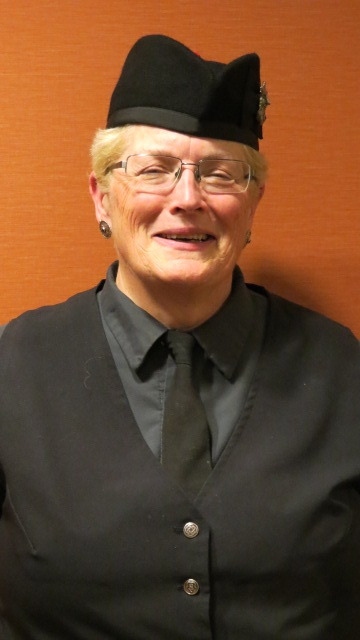 She has served in leadership positions with the Western United States Pipe Band Association for over twenty-one years, as President of the Northern Branch, Vice-President and most recently as a member of the Music Board. Liz teaches music in the Visual and Performing Arts Academy at Elk Grove's Sheldon High School in the Elk Grove Unified School District, and also teaches piping to students at her home. Over the years Liz has started dozens of pipers on their way, and her former students can be found in many pipe bands and on awards lists throughout California and Canada. The office of WUSPBA Past President carries an automatic Life Membership.